72 Gel shoe cushions by FindingKing at Social Seeker. MPN: KO-GM708 (72). Hurry! Limited time offer. Offer valid only while supplies last. Gel shoe cushions are specially designed for use in high heel shoes. Provides extra body support; balance; stability; shock absorption and comfort. 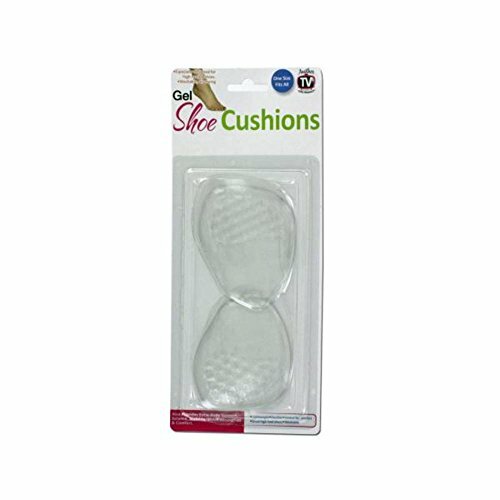 Gel shoe cushions are specially designed for use in high heel shoes. Provides extra body support; balance; stability; shock absorption and comfort. Each set comes with 2 cushions. One size fits most. Comes packaged on a blister card with hanging hole. Cushions are 2 3/4" x 3 1/4".